One of the big green challenges for the coming years is making the existing housing stock sustainable. If we want to keep to the Kyoto objectives, and given the many ambitious municipal climate targets that is certainly the wish, massive action is needed to make houses CO2 neutral and (increasingly) gas free and/or energy generating. The challenge for new housing projects is not so complex. 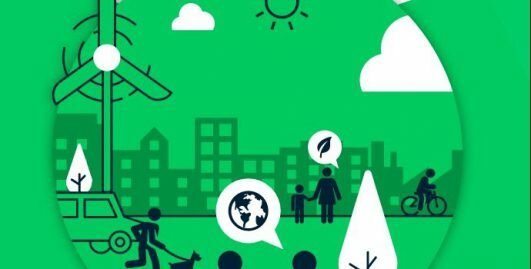 The new environmental requirements are included in the invitation to tender, and most developers and corporations are very aware of the potential for CO2 neutral building. The challenge lies with the home owners (and the existing stock of housing associations). Many home owners are unlikely to address the sustainability of their home. Even if they are aware of the environment and the sustainable generation of energy for their home the solutions and investments are too complex for them to take a considered decision. Plus the fact that an investment is expensive. So how can we motivate people? The Green Deal Smart Energy Citizens arose from the partnership between the Top Sector Creative Industry and the Top Sector Urban Energy. This is where the engineers and technical innovation specialists were brought together with experts in service design processes and participatory working methods. The idea was to present an ‘offer you can’t refuse’ that provided the answer to the needs of residents. In Gaasperdam STIPO has worked to create several strategies in line with this idea as part of a coalition of residents, municipality and a network administrator. Based on interviews with residents at home and with key players, we have defined arguments that will catch on and that offer an opening to start a discussion about energy. An important opening emerged to be health: people turn up the heating because of health problems. By insulating and, for example, switching to infrared heating comfort is increased while the gas bill falls and electricity is generated via a local sunroof. Or private home owners with a tropical background, who would like to invest in a solar water heater. For most taking a shower two or three times a day is a matter of decency and hygiene. The amount of hot water in the boiler is nowhere near sufficient. Recognising what is important to residents and seeking solutions together that lead to energy savings, sustainability of the home and the generation of (local) energy starts a movement towards real sustainable change. And it is clear that in Zeist (where we also worked) different issues are important than in Gaasperdam or Hof van Twente.